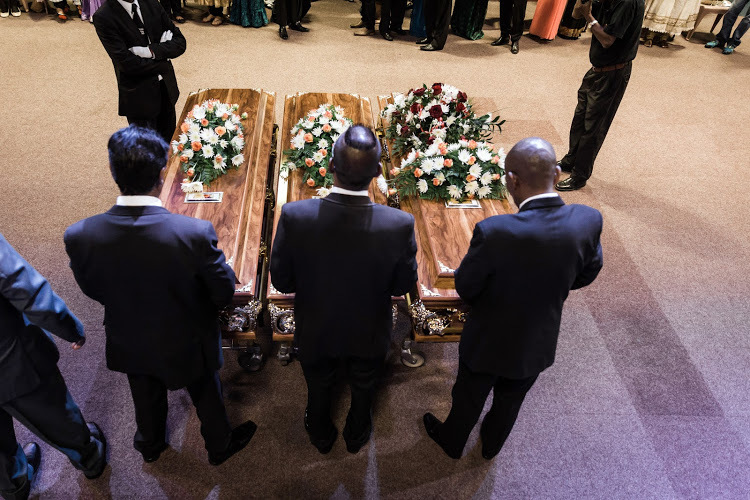 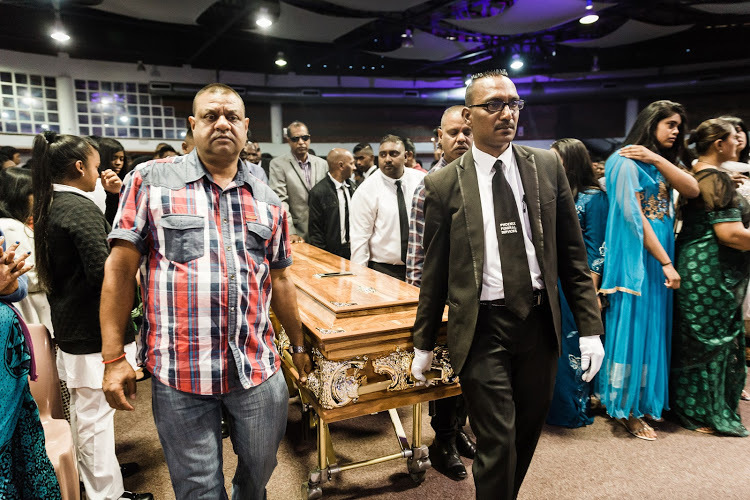 #DURBAN: On shaky legs‚ a Durban man led the procession of three caskets‚ carrying the bodies of his wife and two daughters into the Faith Revival Church in Phoenix on Saturday morning. 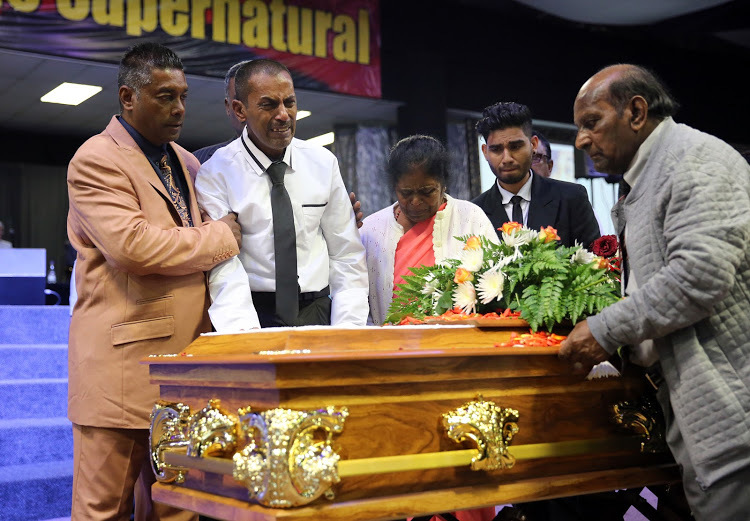 Holding his sister’s hand‚ Sagren Govindsamy stumbled into the church where hundreds of mourners gathered to pay their last respects to Jane‚ 22-year-old Denisha and 16-year-old Rackelle. 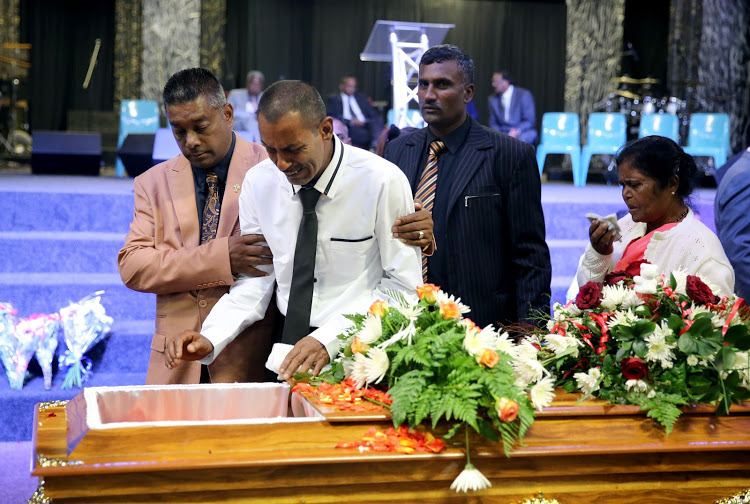 He then began sobbing as mourners began to cry loudly as the procession made its way to the front of the church with Rydalpark Secondary School pupils standing guard of honour in tribute of their classmate Rackelle. 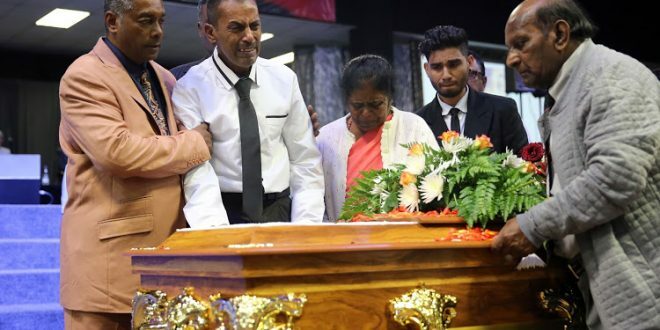 Denisha’s devastated fiancé‚ Macaelin Padaychee‚ his father and brother were among the pallbearers‚ who carried her casket into the church. 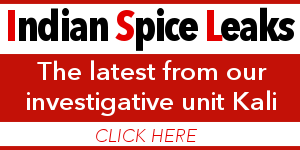 Previous Supermodel & actor, Kiran Rai is yet to add his touch of magic to Bollywood!